New Issues Poetry & Prose, 9781936970483, 98pp. 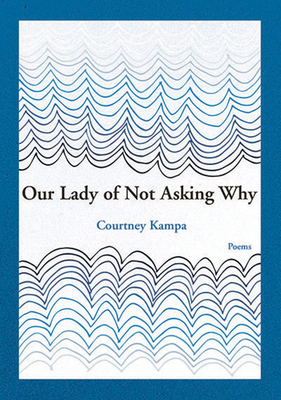 COURTNEY KAMPA's writing has been widely published, appearing in Boston Review, TriQuarterly, the Journal, the National Poetry Review, New England Review, and elsewhere, and she has received awards from Best New Poets, the Atlantic, Poets & Writers magazine, and North American Review. In 2014, she won the Rattle Poetry Prize Readers' Choice Award, as well as Columbia University's David Craig Austin Memorial Award for Most Outstanding Thesis. She was raised in Virginia.